Choosing the right air conditioning for Sutherland Shire homes is not a walk in the park. There are numerous factors that come into play such as size and the number rooms amongst many others. Among the best options of AC units is the split air-conditioning system due to its incredible features and benefits to homeowners. As the name implies, split air conditioning system is split into two or more units with the condenser sitting outdoors. Here are the key benefits of the split air conditioner. A split air conditioning unit is easy to set up as there is no ductwork needed to install. Even where the outdoor unit is 100 feet away from the indoor one, only a small space through the wall is required where the copper tubing and the control wing passes. There is even a possibility of positioning the air conditioning system on a flat section of the roof if it’s available. The installation is also cost effective since only little modifications to your house are required for the fittings. The absence of ductwork means fewer labour costs, therefore, affordable installation. The operation of the split system is simple since it can be done from the comfort of your couch using a remote. The system can also cool or heat spaces very quickly hence greater convenience. Split air conditioning units function with great quietness and are ideal for classrooms, offices, bedrooms, libraries, boardroom and other facilities that demand as little noise as possible. The outside condensers can be installed several feet away in the gardens or other spaces where they will not disturb anyone. These units have washable filters which only require periodic routine cleaning. The filters are easy to remove, and therefore you don’t need to call an expert when you want to clean them. The outdoor condenser units are designed in a manner that is easy to access during maintenance and repair. Other than providing full control of the air conditioner, most of the split air conditioner has an additional heating capability. This allows you to comfortably work or live throughout the year without being affected by the change of seasons. There are various varieties of split air conditioning units that require less power and work more efficiently where there are only required to ‘climatise’ specific areas of the house: the living areas during day times and the bedroom during the night. The indoor units in your home have the ability to distribute air, saving on energy and money. The split systems have the option of subsidising electricity consumption using solar power and are therefore convenient to the people with homes equipped with solar panels. Most new split system models have movement detection which is just one of a wide selection of new innovations being added to split aircon units. Other than installing a big, clunky window unit, a split air conditioner is a system that is presentable in appearance and blends well with the indoor décor. Your windows will also not be blocked. Many split systems models will purify the air entering your house so that allergens and dust are prevented from circulating in the building. This is important in eliminating the health risk that can be caused these particles such as headaches, eye irritation, allergies and breathing problems. The main advantage enjoyed by those who install split air-conditioning unit is that it has a high cooling capacity and quietness in its functioning. 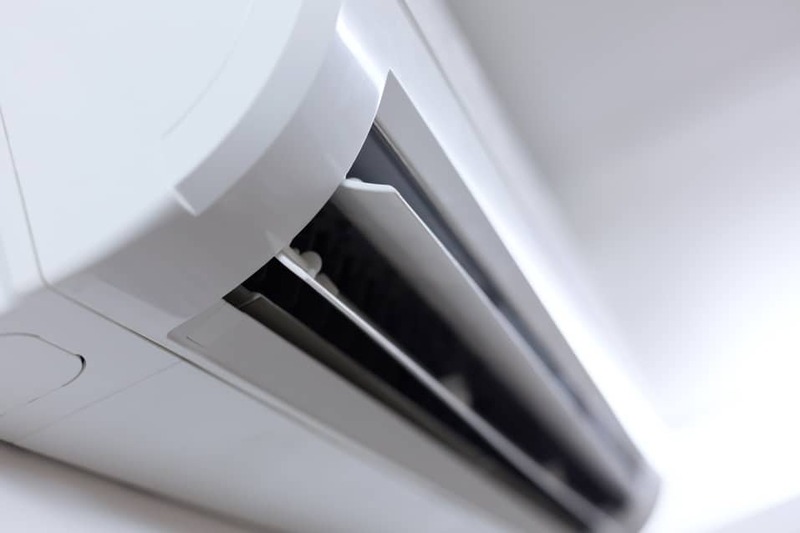 Although the initial installation cost is higher compared to that of window air conditioner, split air conditioning system has a much lower cost when used. These units, therefore, have several advantages that are worth considering when shopping for an air conditioner.